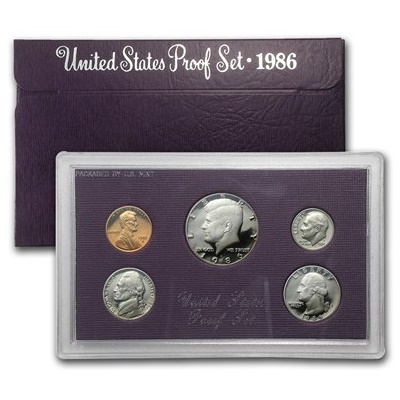 The 1986-S United States Mint proof set contains 5 coins, all 5 coins bear the San Francisco “S” mint mark. The smallest in denomination is the Lincoln cent. This set also includes a Jefferson nickel, Roosevelt dime, Washington quarter, and Kennedy half dollar. All of the coins have the extra sharp images, mirror-like surfaces, and are struck in small quantities for collectors. 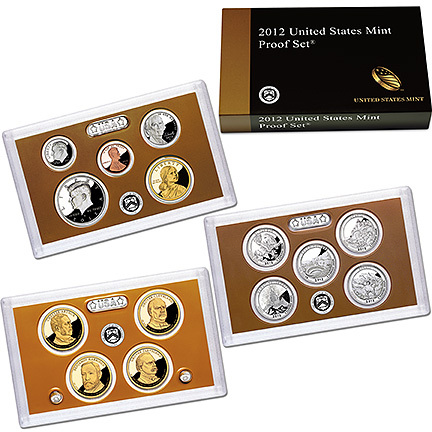 The coins are enclosed in the original hard plastic single protective case, enclosed in the original US Mint outer box.